Home » What is different about LinkedIn writing? LinkedInⓇ has a unique system, much different from other social media networks! Unlike other social networks such as Facebook or Twitter, LinkedInⓇ focuses on professional aspects of a person’s profile. Thus, quite obviously, LinkedIn writing is a different vocation, even from Resume writing. LinkedInⓇ is not like your Resume. It has much more scope for visibility and exposure as it has millions of people connected to each other. LinkedIn writers use keywords much more effectively as compared to Resume writers or Technical writers. LinkedIn writing is a wonderful combination of creative and technical writing. LinkedInⓇ allows the usage of logos, photos to a great extent. The file and link uploads are so conveniently placed that it is a breeze for a job seeker or an entrepreneur to create a personal profile and receive opportunities. LinkedIn writing is not just about writing an effective profile, it is about sending personalized messages via Inbox, connecting with the right people, writing them emails and coordinating consistently. LinkedInⓇ Groups, Business Pages, Pulse, Companies and several other features are very unique and go beyond limitations to provide the professional touch. Last but not the least, professional LinkedIn writing is a specialized task, which is done best by experts who understand the technology and creativity well enough. These days, LinkedIn writing is available for nominal costs and several agencies provide these services. A Google search for the right keywords should help you find the right LinkedIn writing tips as well. So go ahead and give LinkedIn a try! 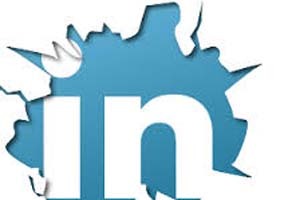 Contact us on customer@golinked.in if interested in receiving LinkedInⓇ training or getting a new profile written. If you have an existing profile, we would also be happy rewriting it for you. Contact us on Whatsapp no. +918608657782 for details.